Yes there was a reason why I suddenly did those two posts on communities (1, 2): so that I could refer to them in tonight’s podcast on the role of communities, their importance, their management (or facilitation! 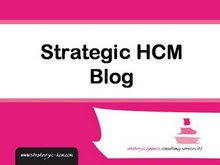 ), and also on the HR function’s role in supporting them (see this post at Strategic HCM). For this show, Krishna and I were joined by Claire Boyles from Management Matters. Thanks a lot, Claire, it was great speaking with you. You can listen to the archive here. The terms social media and community are often used interchangeably but they are not the same thing. One has a heavy emphasis on social content and the other is focused on building a tight network of relationships. So which approach is the most appropriate? It depends a lot of the type of relationships desired with the targeted constituent group. It also has a huge impact on operations -- tools, integration needs, policies, processes, and the management techniques employed. 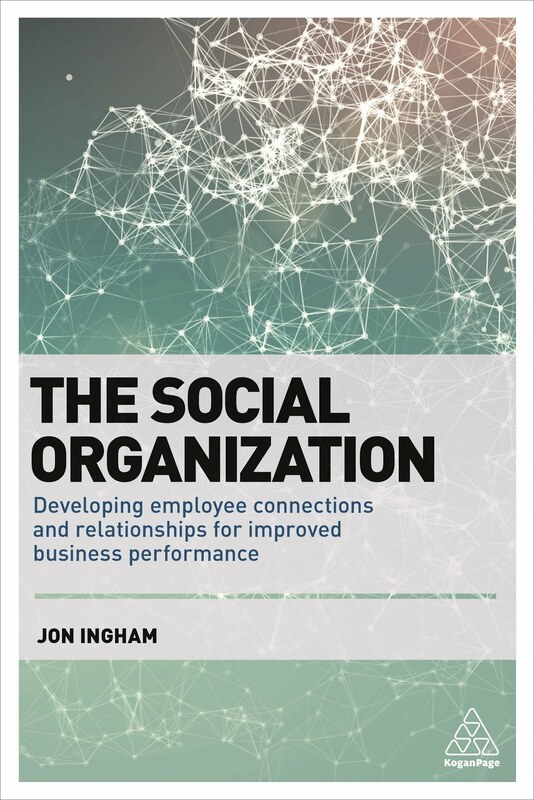 Come find out why this distinction matters and learn how three different types of companies are approaching the challenge of socializing their organizations. Supporting the earlier workshop, the panel agreed that the word Community tends to be used too freely. Communities aren’t just loosely affiliated groups. There’s a difference between a crowd and a community – communities have deeper levels of connection and trust. However, the key focus of this session, for me at least, was that choices re community depend on the context – whether the situation is B2B. B2C etc. There are lots of choices but no right answers. Matt Johnston talked about his community of 30,000 software testers that basically form the uTest business. Community management is critical but they only have 2 people to manage it. Michael Petillo explained that Gore has a social organisation the introduction of technology. It has a unique culture which influences all of their interactions internally with other associates and externally with partners and customers. It governs how they work together and collaborate. Megan Murray talked about Booz’ hellobh.com which includes 495 internal communities, 25k people, most outside the building, working in a partnership model (also see my conversation with Thomas Stewart about this). Booz consultants have different areas of focus but overlapping skills. However the firm found finding people difficult so it created social spaces to make this happen. People also come together around a passion or a problem – things they are interested in the most. You put together new person x and new person y and this may result in a new capability all together. The distance between nodes - how connected and how tight it is - influences how fast the community can move. There is value in lexiconical analysis of what community members are saying – it provides context of what you want to achieve. Managers often worry about people engaging in chit chat. But often this is part of something else, eg the post mortem of a business transaction And the chit chat is what leads to trust – not the transaction. You can identify the NPV of a network by how many connection there are, how often people tweet, and by identifying the people who connect one part to another – structural holes, weak ties etc. It’s useful to identify the influencers of broadcasters – the broadcasters don’t have time but the influencers probably do. You can’t be prescriptive - forcing people into groups is a recipe for disaster. When you’re setting up space you can be specific about what needs to get done but allow room for emergence. You might like to check out the Rountable’s own link to the session – which includes a pic from my own conference proposal (not sure why! ): http://community-roundtable.com/2010/06/enteprise-20-conference-2010/. See my other reviews from the conference at bit.ly/e20conf. Luis Suarez started the session by explaining that whereas some people feel every group is a community, this isn’t the case. Communities need a shared passion about a common interest. Most of the session was the taken up focusing on Stan Garfield’s Communities Manifesto and some of the key points from this, eg that communities should be independent of organisation structure – people shouldn’t be forced to join, so that members want to be part of the community. Luis and Stan also provided suggestions for community building programmes. Firstly, you need to find a compelling topic. This needs to be made interesting. Most importantly, communities need to be facilitated, actively nurtured – they won’t necessarily expand naturally. People set up communities and 2-3 weeks later find them dead - people wonder why. We need to ask them have you engaged people? Have you provided the opportunity for the community to have community activities? Communities need to be nurtured ever day, every hour of the day, by engaging with them and providing a plethora of activities - including physical activities. Web 2.0 tools aren’t enough. They need good content to ensure good health but this is only part of the solution. You need to focus on connections, and help people connect with each other. Connecting people with content and other people. Focus on the interactions between people. One key question is who is going to lead the community – and this could be several people - these need to have passion for topic and time to build and sustain it. When selecting a leader it’s useful to watch peoples’ communications. Who are the hubs / connectors / mavens? Who do people trust? – go to for advice? But note, the best conversation leader may not be best facilitator. So they’ll need coaching and up-front training. And you can then have a community of community leaders. Another interesting point was that lurkers are valuable. Without them, we often wouldn’t have a community. And they may eventually move from being passive consumers to active producers. Communities generally manage themselves, ie the “we” eg if people post inappropriate content. It’s not something the community manager needs to get involved in. You can never communicate enough about a community, eg communicate to the community what is happening in the community. Note, because of the differences on the slide above, particularly I guess the lack of a clear purpose, managing a community takes more effort than managing a team. However, it is potentially more valuable as well. Communities provides a reason to stay in the company – they reduce attrition rates. Of course, as Luis and Stan noted, communities have always been there - for decades. We all have a very natural need to participate in communities – we want to bond with people. I thought this was a really engaging and interesting session. While the presenters were talking I was thinking about a community that I’ve been ‘managing’ recently – called ‘Moon Shots’ this is a ‘community’ of 250 management regades bought together by an interest in Gary Hamel’s writings on management innovation. Only it’s not really a community – a result of me not really managing it. So I’m probably not going to continue it when ning changes its conditions next month. Yes, I’ve got the passion, but I’ve been a bit short of time. And I’ve never really thought that much about my role - so these guidelines from Luis and Stan would have really helped as well. One of the things I want to talk briefly about on tomorrow’s Employer Branding webcast is my idea of ‘social branding’. I still need to do more thinking around this before tomorrow, but I’m going to suggest that as well as an EVP and employer brand, companies need to think about their ‘Social Value Proposition’ (SVP) and ‘social brand’. Why? Because more and more of what we do at work is about our relationships with other people. It’s why I’ve included ‘people’ as a major element in my EVP model for so long, and why I’ve argued that people and relationships need to be a major focus of engagement surveys. But it’s more than this. It’s not just about how organisations treat their people. It’s how people treat each other. What’s our offer to our colleagues and others we work with? And this is different to an EVP because it’s not about what’s done to us, it’s about what we do with each other. And I suspect it’s going to be an increasingly important enabler for engagement as well as collaboration and productivity. Of course, I realise this is probably just going to result in increased confusion. Those who have come across social branding before will link it to either and ethical focus or the simple use of social media. But hey, there’s nothing I can do about that. What do you think? Any ideas for the factors that should be included in a SVP? Or is this idea just nuts (it’s probably not too late to take out the slide!). Enterprise 2.0: Sharepoint – an all-or-nothing decision? There’s been a lot of focus on vendors at the E2.0 conference. From my point of view, too much focus (particularly the product demo ‘keynotes’), although actually still less than I thought there’d be. One of the things that has come through very clearly to me has been the degree of overlap between systems. Walking through the exhibition, I found it fairly difficult to distinguish most of the systems from each other (although if I’d come armed with some specific requirements, I’m sure I would have been able to use these to create a quick shortlist). One that stands out is Microsoft’s Sharepoint, particularly the new 2010 release that’s on show here. The session I’m currently in has concluded that Sharepoint is usually going to be there, for information storing and sharing, but that it’s social features are still quite weak and that there’s little in it to spark conversations (without extensive customisation such as in Microsoft’s own Academy Mobile). It’s why Newgator won the Vendor Idol session – given its deep integration with Sharepoint, at least companies can use this and have something decent for users vs IT to use (although all vendors seem to integrate with it to a greater or lesser extent). Note, my own experience contrasts with this view. As an example, I’ve been talking to Unilever who have just implemented Sharepoint gloablly (and only 2007) as a enabler for social change. Anyway, it’s clear some of the systems do offer better social features, and are also much more attractive from a user perspective. Given the fascination over peoples’ ipads here, it’s clear this is the new battleground. So my own vote goes to NGenera, a new entrant into the marketplace, with its Space system which was demoed earlier by IDEO who also inputted into its design, which shows. Cisco’s new QUAD system looked OK as well and I’m sure will be another powerful new entrant in this space. Other than sociability and usability, the other aspect of these systems I thought vendors would have been emphasising, particularly at this conference, would have been their use in socialising the business. This is something I’ve thought Jive has done well over the last couple of years, and came over fairly well in the keynote yesterday, although the sales push and loud music detracted significantly from this. But Jive seems to have outsourced this creative piece to Dachis Group now which I think' is a mistake. The two companies that seems to be coming into this space from an earlier focus on HR are Saba and Success Factors. Saba are rebranding their systems under the banner of Collaborative People Management. And Success Factors are starting to integrate with their new acquisition Cube Tree – developing what looks like it will be a very comprehensive offer (my only worry is that it will end up being a ‘social ERP’ ie just too big and complicated). Anyway, ‘collaborative people management’: that’s what I think these vendors need to be about. See more of my posts from the conference at bit.ly/e20conf. Matthew and me at the Barking Crab. Thanks to Rachel @rhappe and the Community Roundtable for the inivite. Andrew McAfee’s been talking about enterprise 2.0 and innovation, and the need to move from the centre towards the outer rings of his E2.0 target model to stimulate innovation. He’s just introduced Gentry Underwood, Head of Knowledge Sharing at IDEO who is talking about design thinking which mixes business, human and technology factors effectively to just about any problem we can imagine –including how technology can be used to make organisations more innovative. Focus on people not the ideas themselves. There’s value in process but at the heart of innovation is something messy that can’t be managed. At the end of a process at IDEO they’ll have lots of ideas they’ll just throw away. To an extent, ideas are cheap. Empower people, not ideas. How do we enable more people to work together with each other? Create platforms for coalescence. Innovation happens when collaborative people come together with a shared vision. IDEO have physical spaces for people to innovate and can do this online as well (eg My Starbucks Ideas, Netflix Prize etc). IDEO have well used blogging, networking systems and a wiki (IDEO Spaces). Facilitate and reward participation. Friction in the system stops people using it and the less people on it the less valuable it is. The last system has been successful because they didn’t need to do anything special – have a password, attend training etc to use it). Two key things have been a RSS type feed system. And screen savers in their locations which cycle through the 20 latest status updates and has encouraged people to maintain their profiles. This has led to a 97% take-up of their People Pages. One of the difficulties getting this unit started was agreeing what innovation is. For CSC it had to be a balance between creativity and discipline, leveraging the company’s intellectual capital. It’s not just about great ideas, it’s about the business problems we all have. In CSC, these different elements were coming together like brownian motion, with no direction. So Lasher focused on leadership, governance, process and enablement – and finally, the tools to support all of this. And all of this needed to be looked at from a systems perspective (Senge). Innovation needs to be socialised, externalised, internalised and combined (Nonaka and Takeuchi). Doing this required the next vs the best practices. One of the key strategies was to get off Lotus Notes. So CSC implemented Jive last year, renamed it C3: Connect, Communicate, Collaborate, led by Claire Flanagan, who has just ben promoted live on stage. This has become the defacto standard for the way they commnicate – they now have 48,000 people on the system one year after implementation. View today’s keynotes from#e2conf at tv.e2conf.com/ and see my reviews at bit.ly/e20conf (including a presentation from Claire Flanagan!). Day 2 starts with a session on knowledge management, enterprise 2.0 and the cultural barrier by Carl Frappaolo. Frappaolo notes that culture is a slippery topic and means different things to different people. He defines it as the sum total of attitudes, opinions, morals and ethics etc – the different going ons within a community, eg an enterprise. It’s separate to but influenced by process, technology etc. It can drive processes or totally circumvent them. One-way me: I am collaborative but in a one-to-many approach. Shared silod repositories, email works well. Team me. Starting to accept the idea of we. Shared repositories start to work. Proactive me. I consider a major part of what I do to be a team player. Agents, portals, executive dashboards to push knowledge to people are readily accepted. Two-way me. I’m proactive about building communities. Social networking is embraced. Islands of we. Cutting edge of culture. Senior management buys into the idea of socialness. A core competency. Understand emergence. Think modular and integrated ito IT. Extended me. Full transparency internally and externally. Emergence, wisdom of crowds a key part of what they do. Frappaolo’s presentation related to a question that’s often asked on E2.0 blogs: whether you need to change culture first, in order to set the ground for E2.0; or whether you can use E2.0 implementation to change the culture. To me, it’s the wrong question. Firstly, because the objective shouldn’t be to implement E2.0. The objective needs to be to do something valuable, whether this is to achieve business goals or to develop social or knowledge capital. This will determine whether culture needs to change. Secondly, I have a slightly different definition of culture to Frappaolo. To me, culture is about conversation. So anything that changes the conversations taking place in an organisation changes the culture. E2.0 is part of this shift. So I completely agree with Frappaolo’s conclusion: don’t try to change culture just through technology. And don’t throw technology at groups who don’t want to be collaborative.